Alexander Calder's abstract stabile anchors the large rectangular plaza bordered by three federal buildings designed ny Mies van der Rohe. 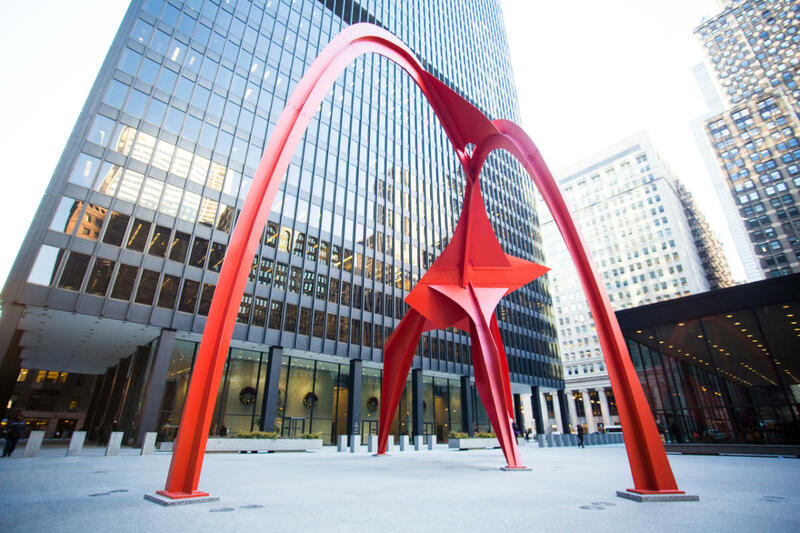 The sculpture's vivid color (dubbed "Calder Red") and curvilinear form contrast dramatically with the angular steel and glass surroundings. However, Flamingo is constructed from similar materials and shares certain design principles with the architecture, thereby achieving successful integration within the plaza.